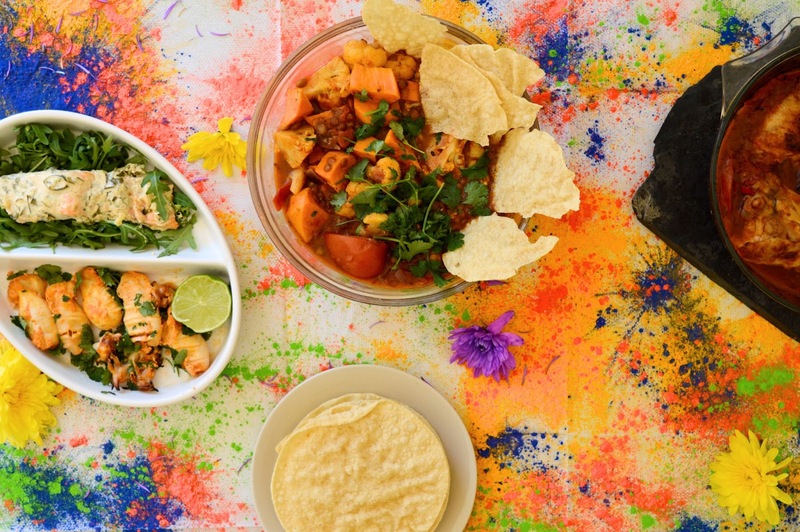 Indian food makes my soul happy - it's so flavoursome, colourful, packs a punch and feeds a whole family on a budget! What's not to love?! 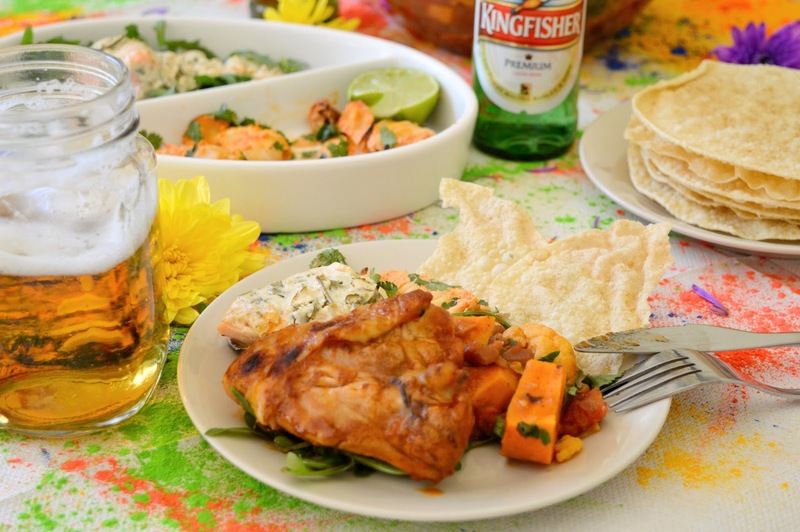 So when I was asked to create an Indian feast in celebration of the Holi festival with Kingfisher beer, I jumped at the opportunity to cook up something exciting and new. Cooking is a down time for me - I relax and my mind wonders away from the stresses of work/personal life, whatever is bothering me that day. I enjoy spending time in my kitchen and cooking up feasts for my friends and family. 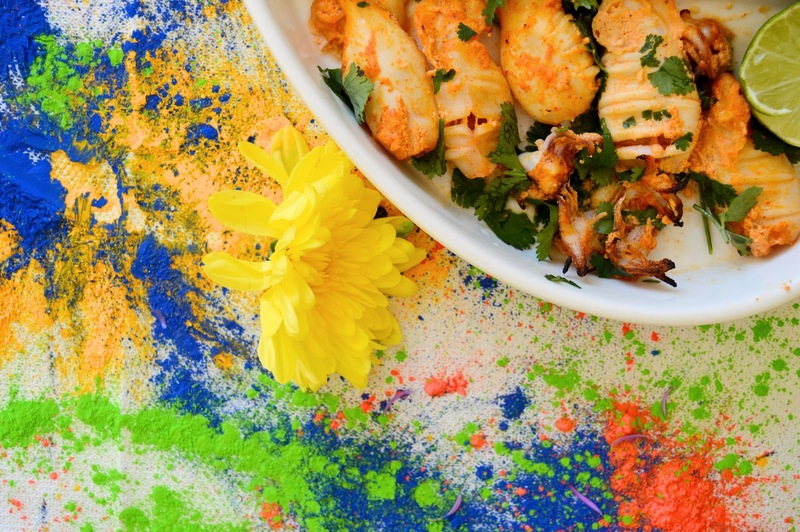 So I wanted to share some new recipes with you to hopefully encourage you to try and cook this at home - and when more suitable that during the Holi festival? Roughly chop the chilli, coriander, and ginger. 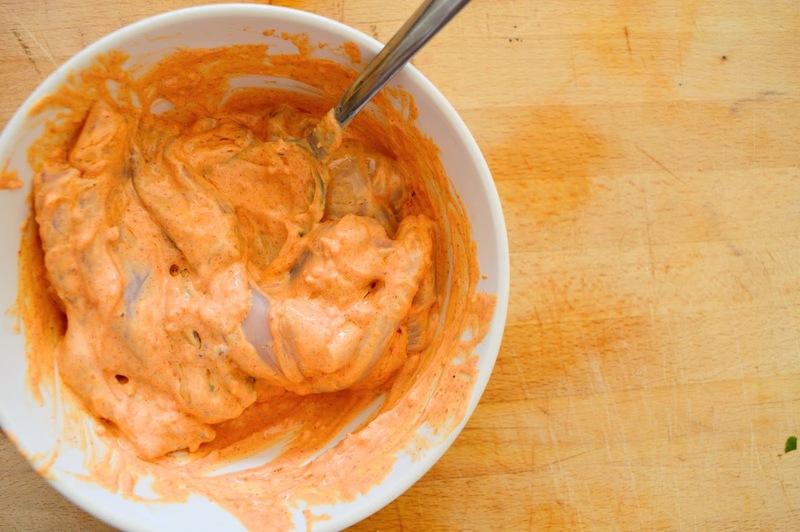 Mix all of the ingredients together into a marinade and cover the salmon pieces. Leave to marinate for a couple of hours in the fridge. 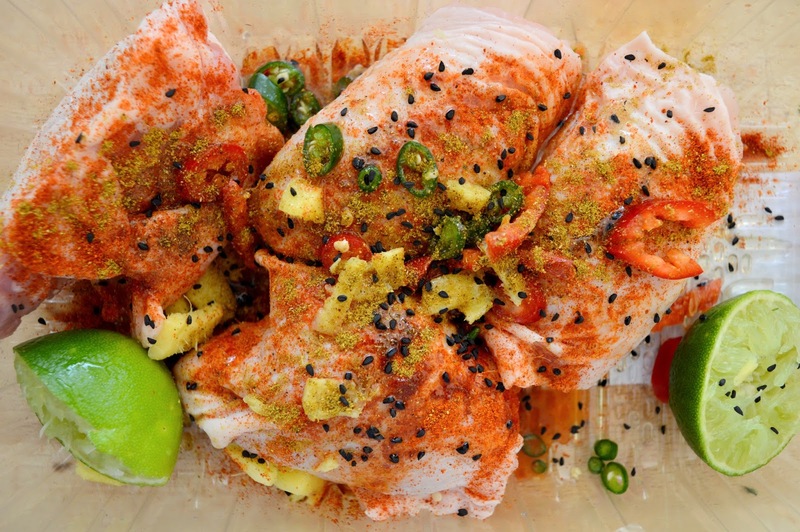 Take the salmon out of the marinade and place on a grill (or BBQ weather permitting!) 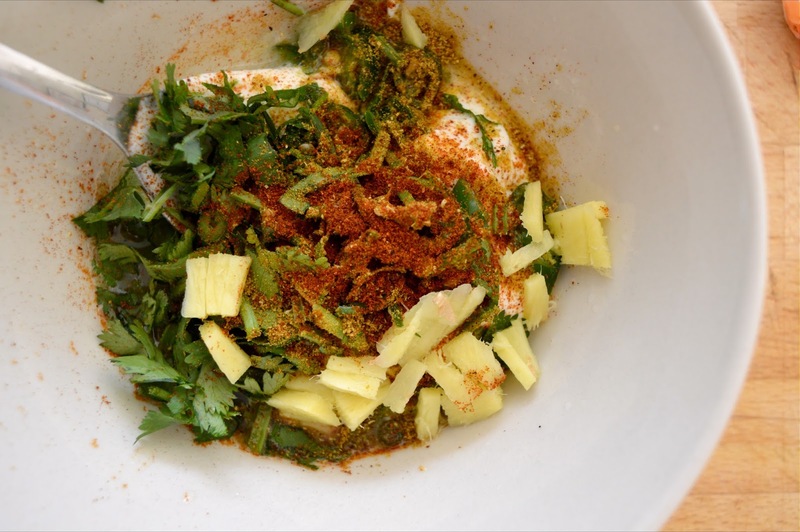 - cook for 20-30min and serve with fresh coriander and a squirt of lime! Crush the garlic in a garlic press and add to the yogurt. Mix in the Tandoori powder, lime juice, salt and pepper. You can either cut the squid into rings, or place them into the marinade whole - make sure they're covered in the marinade. Leave to marinade in the fridge for a couple of hours and take the squid out of the yogurt mix. Place on a grill and grill until the squid is springy - usually for about 15-20 minutes depending on how hot your grill is! 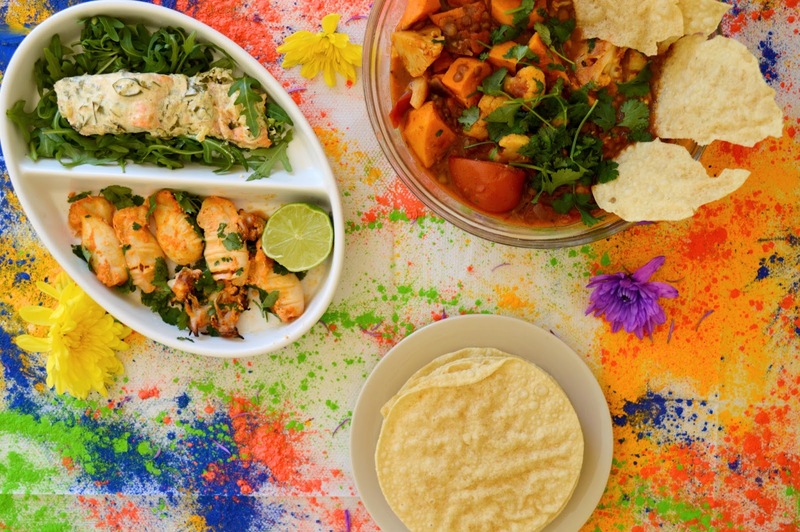 Serve with salad, fresh coriander and a squeeze of fresh lime. Place the chicken into a tray (I just use the tray they come in!) and add in crushed garlic, lime juice AND the cut limes, chopped fresh chilli, chopped ginger, Tandoori powder, Garam Masala, Nigella seeds, and turmeric to the tray. Mix all together and leave while you prep your pan. Roughly chop the onion and add to a wok with hot oil. Cook the onions until golden and soft, then add your chicken. Brown the chicken on all sides, then add the fresh and tinned tomatoes. Cook for 30 minutes, then add the coconut milk and cook for a further 15-20 minutes. Heat oil in a wok and throw in roughly chopped onions. Cook until golden brown, then add in chopped sweet potatoes, chopped cauliflower, chopped fresh tomatoes, crushed garlic. 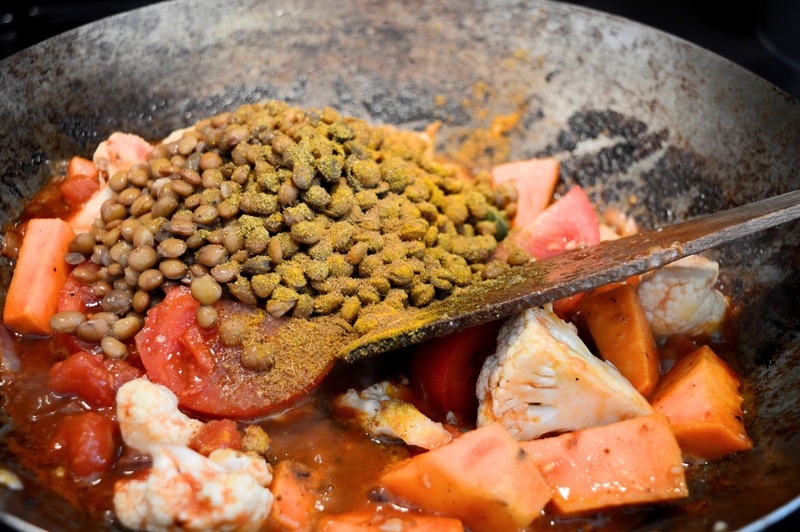 Cook for 5 minutes, then add the tinned tomatoes, turmeric, cumin, Garam Masala, lentils. Cook for 20 minutes. Add in the coconut milk and coot for 15 minutes. 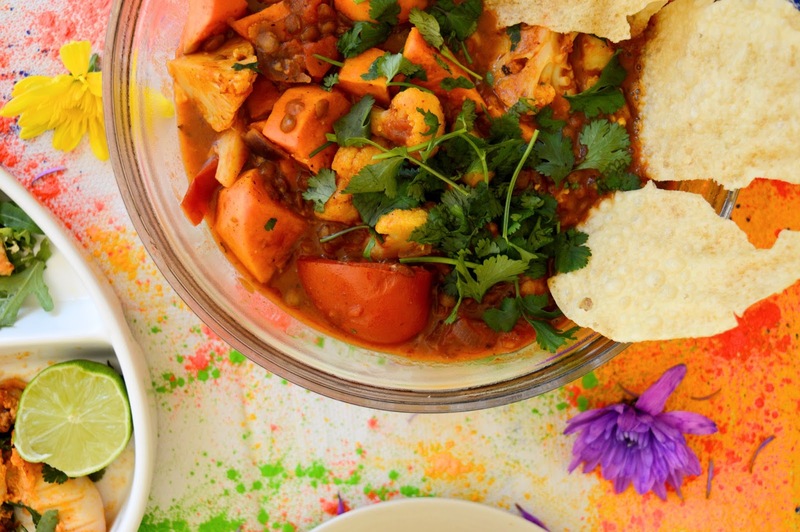 Serve with chopped coriander, popadoms and fluffy rice! This feast is delicious with refreshing beer and Kingfisher beer is perfect to go with Indian food - light, bubbly and perfect when chilled. 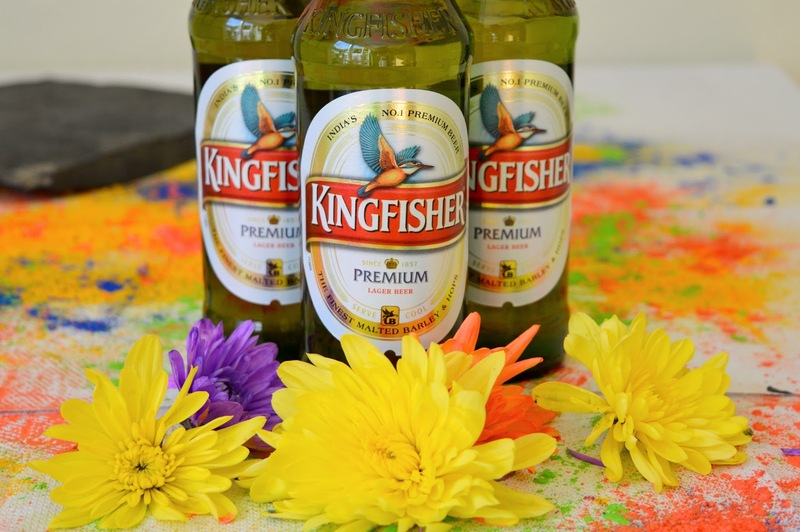 Kingfisher beer is an Indian beer so they know how to compliment flavours of the spices used in Indian cooking. 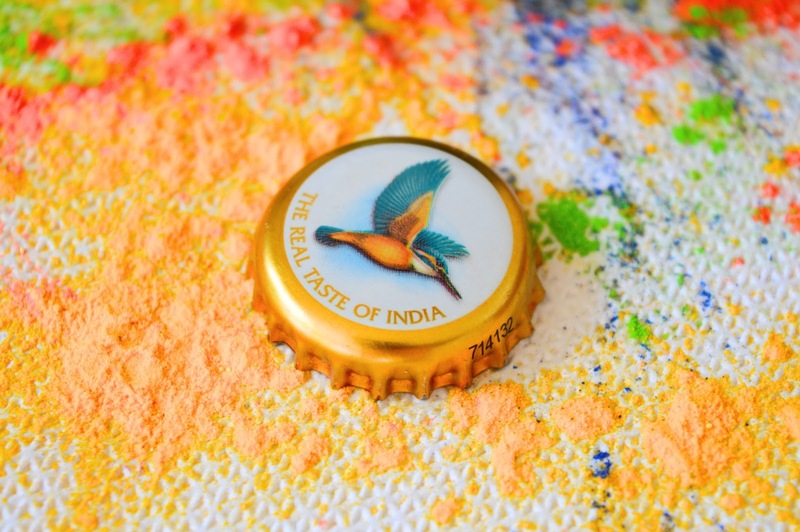 A recipe over 150 years old, Kingfisher is the number one Indian beer not only in India, but also across the globe. Available from supermarkets like Sainsburys and Tesco, this is a great choice for BBQ's - now this is exciting talk as it's getting warmer outside! 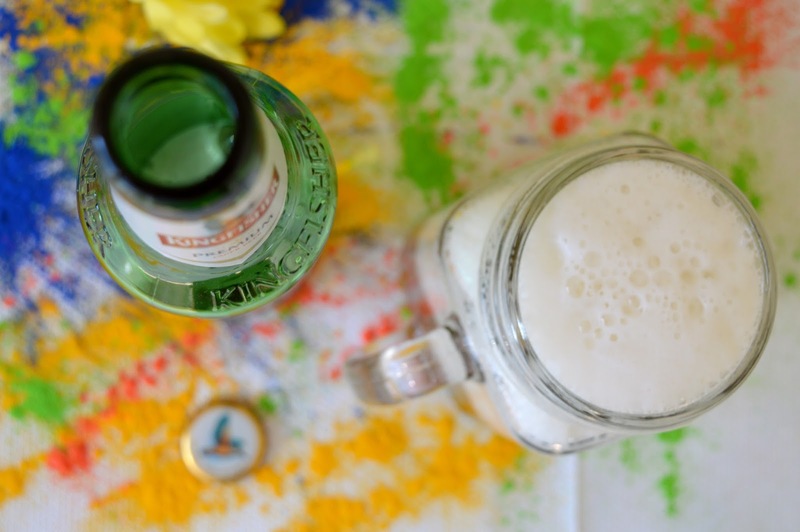 I've had a blast celebrating Holi with Kingfisher - and eating all the food!